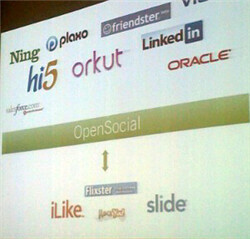 I love Web 2.0 apps which are doing something in common but as a differentiator focus on a niche audience rather than everybody. 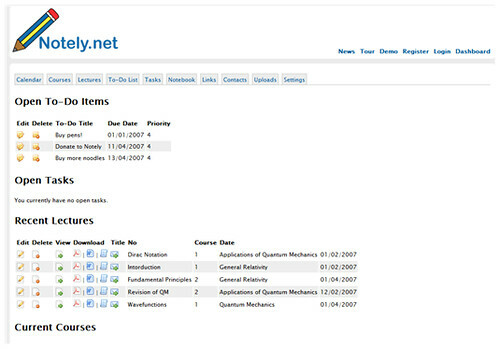 Notely, developed by Tom Whitson, is a complete Web 2.0 solution to keep students of the new age and day organized. Essentially, Notely, rather than just being one tool, features a broad range of tools that would seem valuable to the student, including a note taking, calendar, to-do list, task list, upload, and lecture management tool. While the service is wholly web-based (something I’ve been against for such personal management apps — they need to have an off-web-based side for inserting data), it does feature a simple and fast interface. Students can add their courses and use the tool to write down lecture notes for each of them (exactly why a desktop-based side would be useful, what if there is no wi-fi in the lecture rooms?). What I like about this is that they can then gather the notes in any format they like — PDF, Word, TXT, and the ability to e-mail it are all supported. The todo list and task management apps aren’t too complex or different to those that are out there on the web, but it does help to have them there. The contact list is simple and so is the calendar (no AJAX! ), and a ‘Notebook’ which seems to be basically a blog is handy to note down things for permanancy. Notely seems to still be in its very early stages, although I do respect the fact that they’ve come out with such a product. It’s going to seem handy for its aimed demographic, and with the amount of such tools out there it’s just as well they have one. The collection of tools and the ability to get data out (export) just as easily as get data in is respectable. I like it, but I just wish there was a desktop-based tool just like this since the web component seems un-needed. Competition: Cominded – What is It?